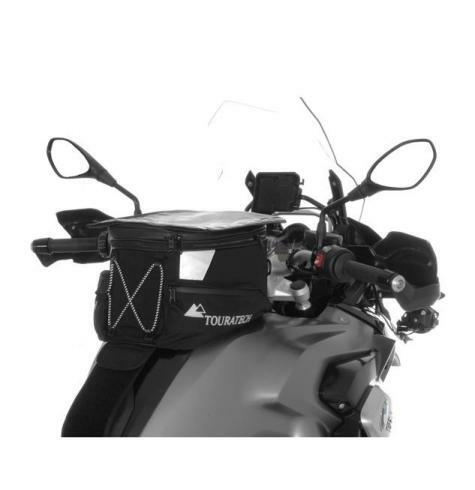 Don't settle for a universal fit tank bag on your BMW R1250GS, R1200GS, F850GS, or F750GS that will slide around, distracting you from your riding. 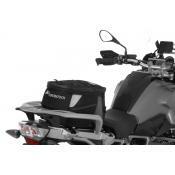 The unique shape of the GS’s fuel tank requires a bag that fits properly. 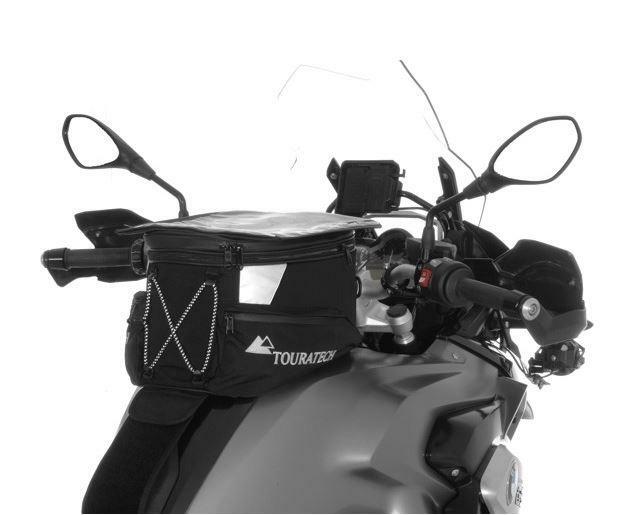 The Touratech Expandable Tankbag is shaped specifically for the BMW GS with a mounting kit designed specifically for the bike. 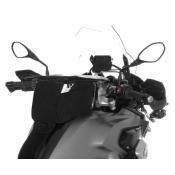 With your BMW's panniers and topcase filled with all the camping necessities, it’s also great to have a place for quick-access items like maps, sunglasses, wallets, and cameras. 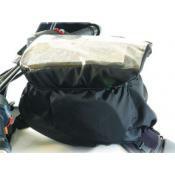 Tankbags fill this role perfectly, giving you an up-front storage solution for all your personal items, and a good place to display a map while riding. 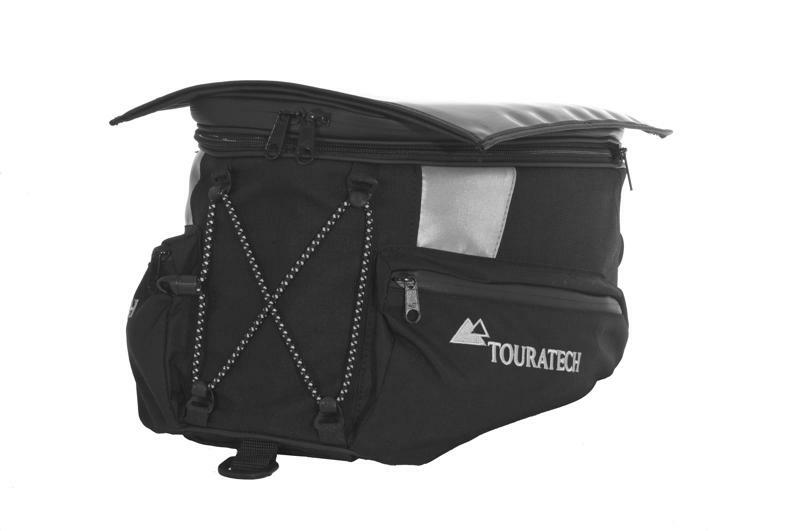 Touratech expandable touring tankbags are handcrafted in the Black Forest of Germany out of the finest materials, and boast a long list of features, specifically for touring and adventure riding. 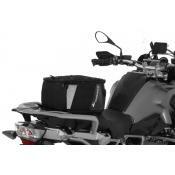 Custom fit for BMW R1200GS, F850GS, F750GS– This tank bag is designed specifically for the BMW GS. 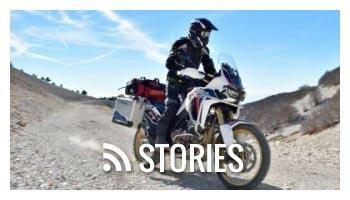 Other ‘universal’ off the shelf tank bags will shift while riding, causing distraction. Because of the specific shape, Touratech tank bags require less mounting material to hold in place, making them easier to remove for fueling. 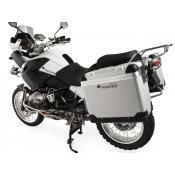 High quality Cordura material – Our touring tank bags are made only out of the highest quality materials. 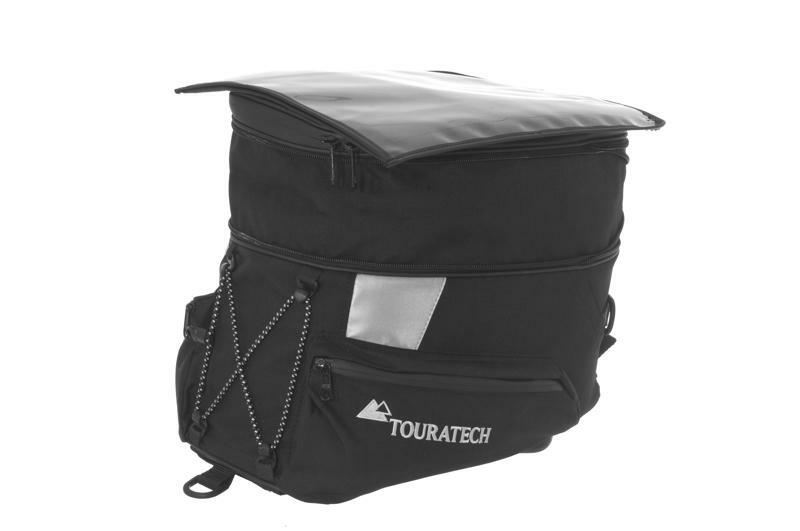 Unlike the other manufactures that use standard Nylon, Touratech uses only premium Cordura materials. The certified Cordura fabric, made in Germany, is the same material used in high-end riding suits and is tough and highly abrasion resistant. The Cordura is also treated with a special Teflon coating to protect against dust, moisture, and fading. Expandable capacity – Packed to capacity, but still need a little extra room to take dinner back to camp? 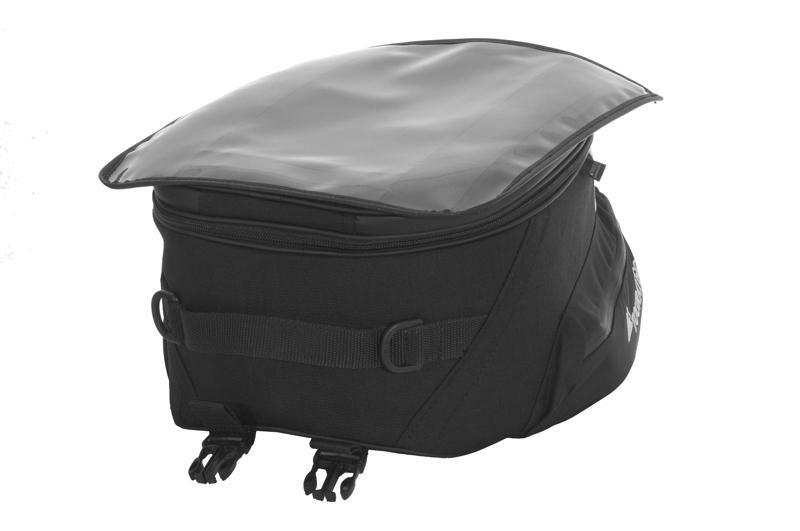 The Touratech expandable tank bag features an expansion zipper that extends your capacity from 14 to 22 liters in seconds. Large removable mapcase – If you’re tired of ruining your maps by folding them into all sorts of unique shapes to fit in your tankbag, our tank bag is for you. 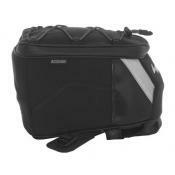 The large removable mapcase is a standard rectangle shape and allows you to display more of your map while riding. External pockets and storage options – Two external pockets give you quick and convenient places to store your wallet, change for toll roads, or other small items. 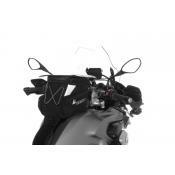 The reflective bungee net is perfect for stashing your gloves during fuel stops or border crossings. 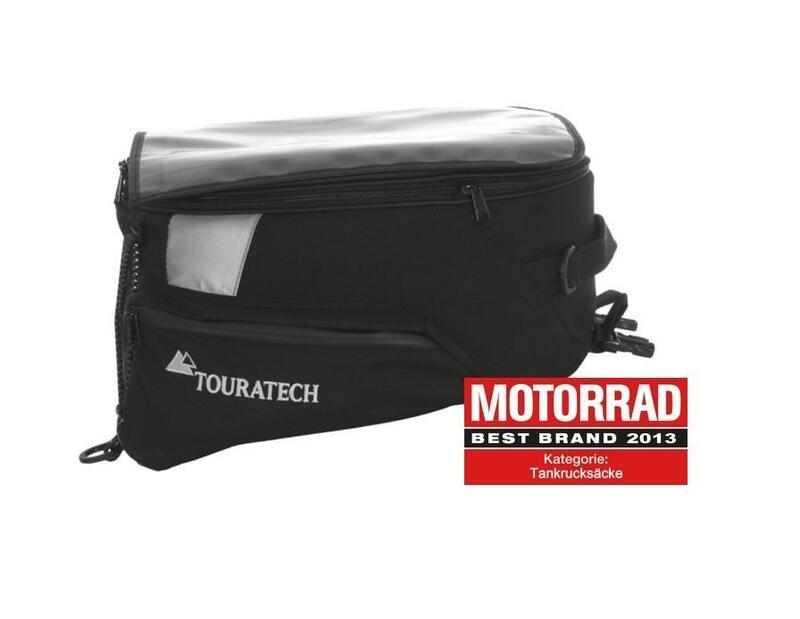 Convenient, even off the bike - The Touratech tank bag is convenient even when used off the motorcycle. A large rubberized carry handle makes it comfortable to carry as a hand-bag. 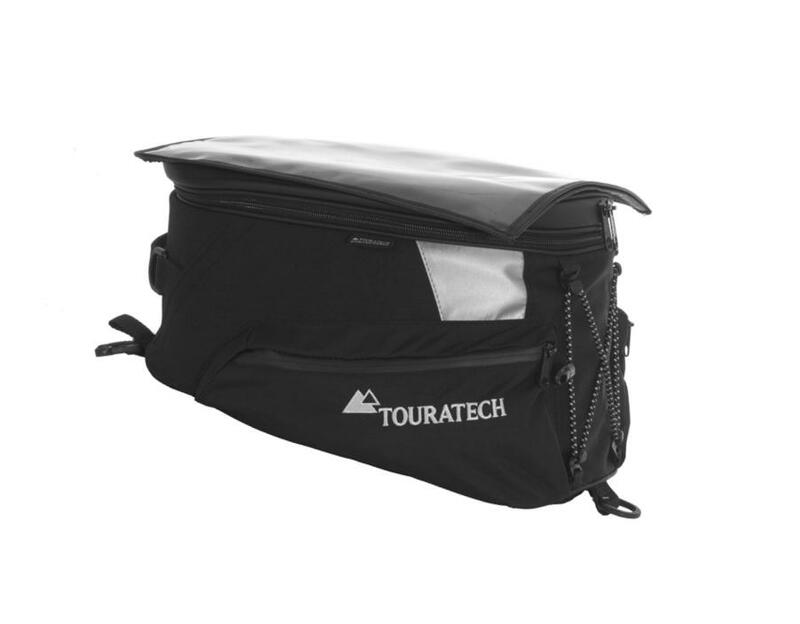 Whether it’s a ‘round the world adventure or a simple day trip, a Touratech tank bag is the perfect companion for your journey. 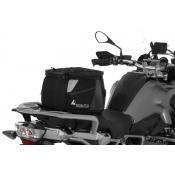 For a more feature-packed tank bag, order our Expandable Touring Tank Bag. 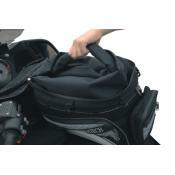 The tank bag is water and dust resistant. 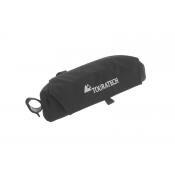 To fully protect its contents from rain, consider adding our waterproof rain cover, part number 055-0069.